Florida Divorce: Am I Responsible for My Partner’s Credit Card Debt? The simple fact of the matter is that the big credit card companies do not care about divorce proceedings. If your name is on a credit card account, and you fail to take action during your divorce, you could be held liable for that debt. This is true even if that debt was incurred entirely because of your former spouse’s reckless spending. That being said, you are not always on the hook for your spouse’s credit card debt. You may be able take action during your divorce proceedings in order to protect yourself and your financial interests. In this post, our experienced Orlando divorce lawyer highlights some of the most important things that you need to know about credit card debt and divorce in the state of Florida. In Florida, assets and liabilities are divided under the state’s equitable distribution standard (Florida Statutes Chapter 61.075). Essentially, this means that each party to a divorce will be entitled to receive a ‘fair’ share of the marital assets, and will be required to pay their ‘fair’ share of the marital debts. It is extremely important that Florida divorcees understand that a fair share of the debts does not necessarily mean an equal share of the debts. While credit card debt that was incurred during the marriage is considered to be a ‘joint’ liability, there are certain circumstances in which a person’s spouse may be held responsible for much, or even all, of that debt. Ultimately, it will depend on the specific facts of the case. 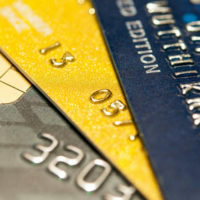 Florida courts have the legal authority to review recent credit card spending (up to two years in the past) for possible ‘dissipation of assets.’ If your spouse incurred credit card debt because they intentionally or recklessly wasted money, took cash advances to hide money for future use, or bought unreasonable things for their own personal use, you may not be legally responsible for those debts. This is an issue that will need to be addressed in your divorce settlement negotiations. If you are getting divorced in Orange County, Florida, and are worried about your spouse’s credit card debt, you should consult with an experienced Orlando divorce attorney as soon as possible. Your divorce attorney will be able to make sure that you are not stuck with more than your fair share of the credit card debt and that your name is removed from all joint credit card accounts so that your financial reputation is protected against any future damage. At the Law Offices of Steve W. Marsee, P.A., our Central Florida divorce lawyer has extensive experience handling disputes over credit card debt. To schedule an immediate review of your divorce case, please call us today at 407-521-7171. Our firm is located in Orlando and we represent family law clients throughout the region, including in Sanford, Kissimmee, and Altamonte Springs.